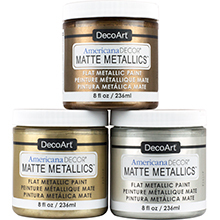 DecoArt offers many different metallic paints, glazes, and creams to suit any home decor, mixed media, craft or DIY project you can imagine. 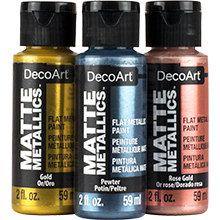 Each metallic product contains finely ground metallic flakes, making them the best metallic colors on the market. All products are non-toxic and water-based, making them easy to use and easy to clean! 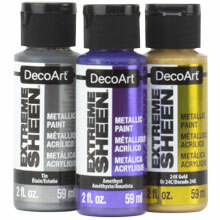 Finely-pigmented, brightest, water-based, acrylic metallic paint available on the market. Its patent-pending reflective technology makes the light reflect evenly off the painted surface, resulting in a true metallic finish. 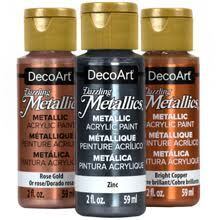 Premium, opaque metallic paints made from finely ground metal flakes to add bright, glimmering accents to most projects. Available in a palette of colors from delicate pastels to deep, rich shades. 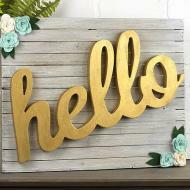 Premium, all-purpose, permanent metallic acrylic for crafters to transform almost any craft surface into a chic item with a trendy, matte look. Water-based metallic wax that buffs to a brilliant shine. It features highly concentrated pigments and boasts an opaque coverage with only one coat and cleans up easily with soap and water. 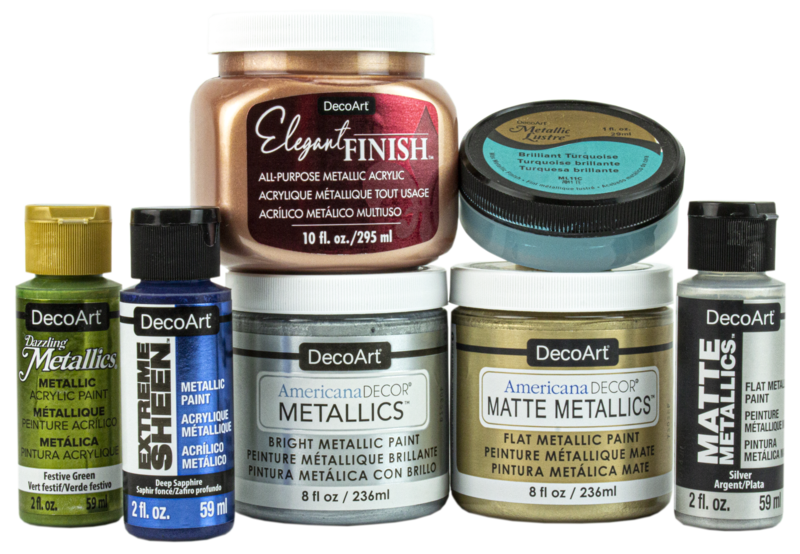 Advanced metallic acrylic paint that provides the best finish available for subtle accenting or full-coverage application. 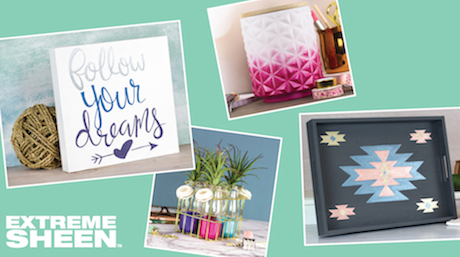 Achieve a high-end look on home decor and furniture pieces without the hassle of priming or sanding first. 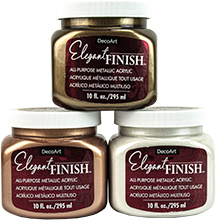 Low-sheen metallic paint that offers a subtle, brushed metallic look. Ultra-fine pigments deliver a rich, smooth finish and result in excellent, opaque coverage. Available in classic metallic colors and trendy jewel tones. 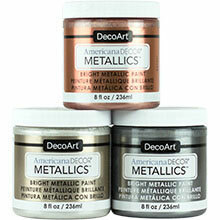 Water-based metallic paints and glazes available in a wide-mouth jar for easy home decor applications. Paints and glazes combine well to create a host of fashionable faux finish looks for your home. 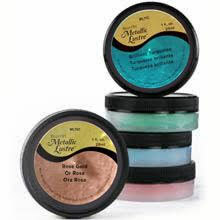 Each metallic product is formulated to work best on certain surfaces and in certain circumstances. 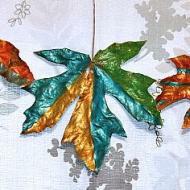 We have metallic offerings throughout a lot of our product lines. Our chart shows all of the lines that contain at least one metallic and the best options for each application, to help you determine which formula to use for your project. For detailed information on the surfaces covered by each paint, visit the individual product pages. 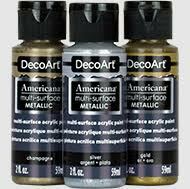 Each metallic product is formulated to work best on certain surfaces and in certain circumstances. Consult the surfaces lists below for each of our product lines containing metallics to choose the right product line for your task.